Ep. 2: We use the Bluth's Frozen Banana Stand to discuss business planning. We also learn about content marketing, and share our thoughts on 3D printing. Welcome to the Bcast, the official podcast of Bplans.com. Each week we discuss the latest news, resources, and advice for entrepreneurs and small business owners. Hosted by Jonathan Michael and Peter Thorsson. In this week’s episode, we use the Bluth’s Frozen Banana Stand to show you how to write a business plan in under an hour. We also learn about content marketing from Candice Landau, and share our thoughts on 3D printing. Read also: TAM, SAM, SOM – huh?? Jonathan: So Peter, episode one in the books. How are you feeling? Jonathan: On the books? How do you feel? Peter: It was all right I guess. Jonathan: We have episode two coming right up. Peter: I’m a self-critical person, so I feel like it was okay. Jonathan: Critical reception was very high. Jonathan: We’ve had…dozens of listeners. Peter: It was very critical. Jonathan: Thank you guys for listening to us so far. What are we going to talk about today? Peter: We’ve got an article by Noah Parsons: How to Write a Business Plan in Under an Hour. Jonathan: Okay. What I think we’d recommend is read the article, How to Write a Business Plan in Under an Hour, but basically the concept, the framework that we’re using is this one-page pitch. Noah kind of sketched out, “here are the things that your one page pitch should answer.” Peter and I have done an exercise earlier today where we’ve taken our own fictitious business from TV and we’re going to answer these questions for that business. One of my favorite shows of all time, Arrested Development, and the Bluth’s Original Frozen Banana Stand. I’m going to do the business pitch for them. Peter: Okay. There’s money in the banana stand? Jonathan: There’s always money in the banana stand. Little known fact, I was actually promoted today to Mr. Manager, so I feel pretty good about that. Jonathan: Yeah. I’m Mr. Manager! Peter: Mr. Manager, if I can, the one thing I do want to emphasize here, and I think it’s something we’ve heard a lot around the workplace here at a lot of these pitches we’ve seen recently, really telling a story is an important aspect of this. While Noah outlines the points that should be covered within that story, I do think it’s really paramount to construct this narrative, to tell the audience, whoever is listening to this pitch, to this one-page business plan or whatever it is, the story of the business. Jonathan: Is it safe to say though for a beginner who’s never done this before to go through these points, try to answer the questions, then come back and refine it into more of a storytelling aspect? Peter: That is one thing I always tell people, especially if you’re doing this for the first time. Go through top to bottom. Go through everything we’re going to go through, do it once. Start back at the top, go through it again. Don’t get hung up. Don’t get writer’s block. If you feel like you have trouble describing something put down whatever comes to mind. Get back to it the next time. Get back to it the next time, because you’re going to go through this thing four hundred times. Jonathan: Okay. I think that’s enough introduction. We can kind of roll into this. Peter: I think the first step, the value proposition, that’s going to be the hardest thing. It’s a bit like the executive summary. I think that first sentence, the description of what your business is, is probably the hardest thing to write. Jonathan, what’s the value proposition for the banana stand? Jonathan: Okay, here we go. Bluth’s Original Frozen Banana Stand. The value proposition is we provide cold bananas in a delicious brown treat. Cool off with this afternoon delight, a frozen banana dipped in hot fudge with your choice of special toppings. Peter: All right. It could rhyme a little more, but I think that’s fine. It’s very succinct. Again, when we look at this value proposition in a way it should tell the story. It should also somehow summarize a lot of the major points in a business. What we’re looking at here, it’s a frozen banana. It’s got the hot fudge, so it’s different from just a frozen banana. Special toppings, so it’s customizable. I might suggest you want to add something about the location, the convenience, what types of customers are coming to this. Again, you start to run out of words to make this into the summary. You’ve got to make an economic decision in terms of what you’re including, but you also really want to summarize that personality, the uniqueness of your business in this value proposition. Jonathan: Something that Noah also suggested in the article is maybe for each one of these things start by trying to write it within the limitations of a tweet, 140 characters. That’s a good way to force yourself to be succinct. Peter: Absolutely. I’m from kind of the school of “write too much and cut it back down,” so whatever works best for your personality. Let’s talk a little bit about the problem/solution pair. Here what you really want to describe is what’s missing in the world and how do you fill it out. Jonathan: Okay. I think I got this part down, so here we go. The problem is the customer is hot, hungry and looking for a special treat. The solution is is that our frozen bananas cool you off and fill you up and, let’s face it, they’re fun to eat on a stick. They’re more nutritious than the cotton candy or ice cream treats that you’ll find on the boardwalk and they won’t cost you an arm and a leg, or even a hand, to buy. Peter: Okay. Great. This is a great example. You can see that the solution had a lot more detail than the problem. Again, the idea of summarizing this, making it not just succinct but also covering the main points, is cool. Jonathan: Cool. What’s the next part that I’m supposed to do? Peter: Here’s one that I think a lot of folks will overlook a lot of times, the competition section. Who else is out there doing what you’re doing has a lot of meaning in a pitch like this. Let’s take a look at what your sample here has and then let’s talk about this a little more. Jonathan: Our competition includes other food and treat stands on the Oceanside Wharf Boardwalk such as the Lighthouse Fountain and Grill. There’s another stand that serves ice cream, frozen yogurt and candied apples and other deserts. There is a brief stint with a direct competitor called the Banana Shack. The Banana Stand differentiates itself by being a healthier alternative than ice cream treats, it’s not as dangerous for your teeth as candied apples, and it’s really easy to eat with minimal cleanup. Quality is our first ingredient and that means a lot to our customers. Peter: That’s fantastic. I think you’ve addressed a few things here. One point that’s very important, the competition is that direct competition. Another thing that comes up is what keeps people from buying from you? Jonathan: Maybe an example would be if there is a jet ski rental place nearby that could be competition maybe because it’s something that they can do with their time instead of buying a treat. Peter: Yeah, exactly. There’s maybe no pause doing it, or moms don’t want their kids buying frozen bananas because they’ll get cramps on the jet skis. Jonathan: So what’s next after competition? What’s the next bullet point that I need to answer? Peter: I think one very optional bullet here is the funding needs. Noah describes this as this idea of like if you’re early stage you need some money to get off the ground. Maybe a later stage business might need some money for working capital and that kind of thing. Jonathan: Yeah. I’ve got this covered completely. We don’t need funds because, as I’ve said before, there’s always money in the banana stand, so I’m not worried at all about that. Peter: If you do include funding, if you do include a need for money in the future, whether it’s sooner or later, always just include what you’re going to do with that money, how does it benefit the business, very specifically what are you going to do with it. The next topic Noah talks about is the target market where you describe your ideal customer. Jonathan: For the banana stand, I think our ideal customer is mothers with children who are looking for an affordable semi-healthy treat on a hot day on the boardwalk. Peter: See, we’ve gotten not just a very specific demographic. We’ve almost got like a time of day, you can kind of understand who these folks are. Then what we can do is start to count the number of people. And the value there to understanding an estimate of how many of those folks might be available at a given day is useful to the business owner because then you can say if I get ten percent of those potential customers, I can make the following amount of money. Peter: Let’s go on to what I think most people not necessarily try to avoid, but maybe feel like is a little daunting, which is the sales and marketing section. 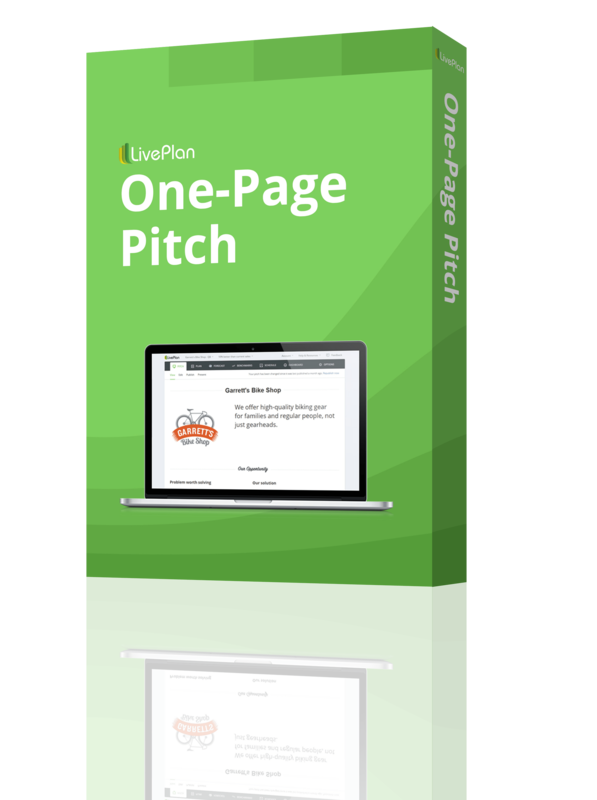 You’ve lumped them together in your pitch, so let’s talk through them. Jonathan: Okay. We sell our product exclusively at the banana stand, which is an eye catching and fun location. It is built to look like an actual banana. To boost sales, we offer occasional discounts and promotions. We’ve also used employees dressed in a banana suit to walk around the boardwalk and promote the stand. The Banana Stand is available for corporate events and parties, such as the Booth Company’s holiday party. Finally, we have also licensed the animated character, Mr. Bananagrabber, to help promote our frozen banana stand. Peter: The next was budget and sales goals according to Noah. Again, we’re going to talk here a little bit about stuff that I think for most people isn’t going to be the most thrilling, the most exciting. There’s going to be some numbers in the middle of the pitch, right? Jonathan: Yeah, and I have to admit this part of it was probably the hardest for me. Number one, guessing at what sales would be? I had no idea. Then I guess wondering if my calculations were correct. Peter: Okay, and that’s good. Jonathan, let’s take it from your end on this idea that you may be … Let’s pretend this banana stand is actually a brand new business, something where because you have to guess we’re assuming that this is not something that’s up and running. This is not something that you’ve got tons of experience in. On the other hand, for the banana shop owners out there and every other type of business owner we’ve got, the sales goals can be based on what you’re doing currently. Jonathan: Okay. So you can look at your actual numbers and make projections off of that? Jonathan: When it comes to my budget and sales goals, here’s what I’ve come up with. I’m not sure if it’s one hundred percent accurate, but I’ll take your feedback. Our main sales season is May to September, Memorial Day to Labor Day. I’m guessing that we have from one hundred and fifty to two hundred customers a day. The average order, just guessing here, is probably about two dollars, so doing the calculations, punching in those numbers, I’m expecting somewhere between fifty-five thousand and seventy thousand in sales for the entire year. Peter: Even that amount of detail can be a bit too much actually. You really want to know what those sales goals are, what maybe your sales from last year are. In this case, you’re kind of making this estimate, so you could easily just say, “By the end of the year we hope to make seventy thousand dollars in top line revenue at this banana stand,” and then go ahead and wait for questions. In addition to that top line revenue, you’re also going to have your major expenses, you’re going to have your costs, those kinds of things. You have some costs at the banana stand? Jonathan: Yeah. I sketched a couple out. There might be a few. There’s the fee for having the banana stand at the boardwalk and then there’s the obvious cost of goods sold. We need bananas, we need the fudge, we need toppings. Peter: Yeah, and you’ve got employees and other things. Again, talking about it at a top line level, making sure you know what those major expenses are, thinking about them in terms of actual numbers at the end of the year, and then rolling those up. Now you’ve got revenue, you’ve got the expenses, and then you’ve got the net profit by the end of the year. I’m going to say that’s good enough for this. Peter: Coming up next we’ve got the milestones. This obviously just gives some idea of what your time frame is for some of your major upcoming events. If you’re a website, when is it launching? If you’ve launched, when’s the next big revision? These kinds of things. Jonathan: Okay. Since the banana stand has been around since the sixties, we’ve actually already developed a really strong following of customers, primarily due to the hit song “Big Yellow Joint” that was released by Jimmy Jane in the seventies. That’s a good milestone for us. Peter: Sounds fantastic. I think I know the answer to this, but in your case the team, as you would describe it, who does that consist of? Jonathan: As a family owned business, our business partners are intimately familiar with each other as well as with the history of the banana stand. We have George Michael, his cousin, Maeby, and then there might be a period of time where we bring on a third employee, T-Bone. Peter: Great. That’s fantastic. The real thing you want to do here, Jonathan, if I can critique you on this banana stand, is with the milestones you want to talk about not just when the thing is happening, but also why it’s important to the development of your business. You want to put a time against it, you want to set what needs to happen before you get there, and then talk about what’s going to happen when that occurs for your business, what’s the benefit there. Then on the team, just the one thing you really want to summarize is why are these people the best possible people for the job. The partners and resources is one of the last sections Noah has got in his outline here. The partners and resources are people that you’re going to work with, people who you’re going to partner with to make your company a success. These might include strategic partners, distribution partners, any of those key folks, whether it’s some who’s going to wholesale your product, someone who’s going to help distribute your products. Anything your company relies on, again you want to talk about who they are, do you have a deal in place with them currently or do you need to work on it in order to make your company a success. What’s going to happen between you and other businesses that’s going to help make you successful. Jonathan: I think for the banana stand it’s in our best interest to maintain a positive relationship with the vendors who provide us with materials like the bananas and other ingredients at those wholesale prices. Peter: That’s great. All those items combined, told in the story format, make sure you cover every point, and you’ve got your one-page business plan. You’ve got it done in under an hour. Now you can deliver this whole concept in three minutes, five minutes, maybe seven minutes, depending on who you’re talking to at any time. Jonathan: Yeah, and I’ve got to admit that was the first time that I’ve done something like this to this full extent, and that was really fun. I think what I’m going to do, we have an example on Noah’s article from Garrett’s Bike Shop, which is made with the LivePlan pitch template. 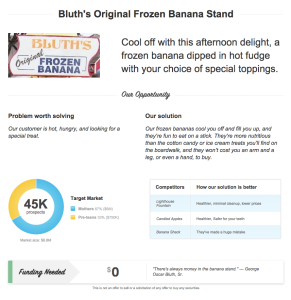 What we’re going to do is make available the Banana Stand from the Bluths as a download of a pitch page so you can see that in action with the graphs and things like that. Peter: That’s great, Jonathan. 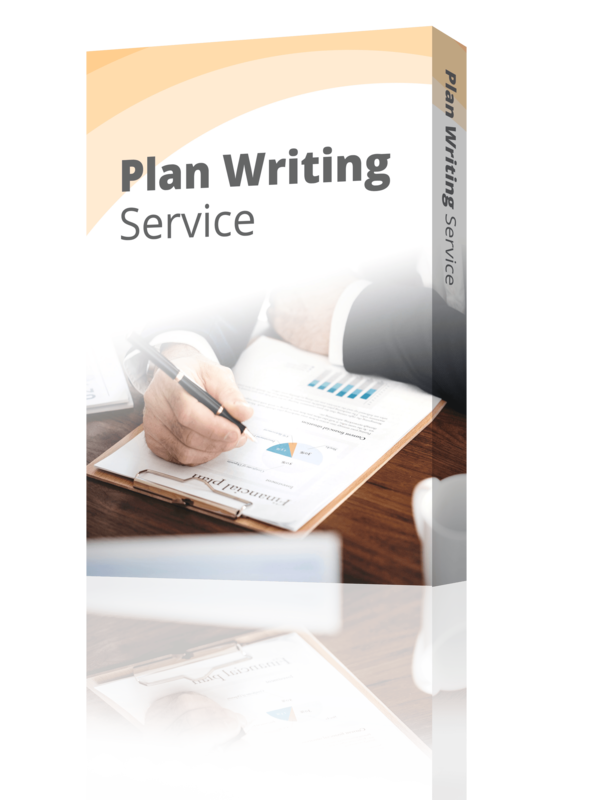 I feel like we really covered this article by Noah Parsons on Bplans.com called How to Write a Business Plan in Under an Hour. We had some fun with this banana stand that you worked on using his outline. 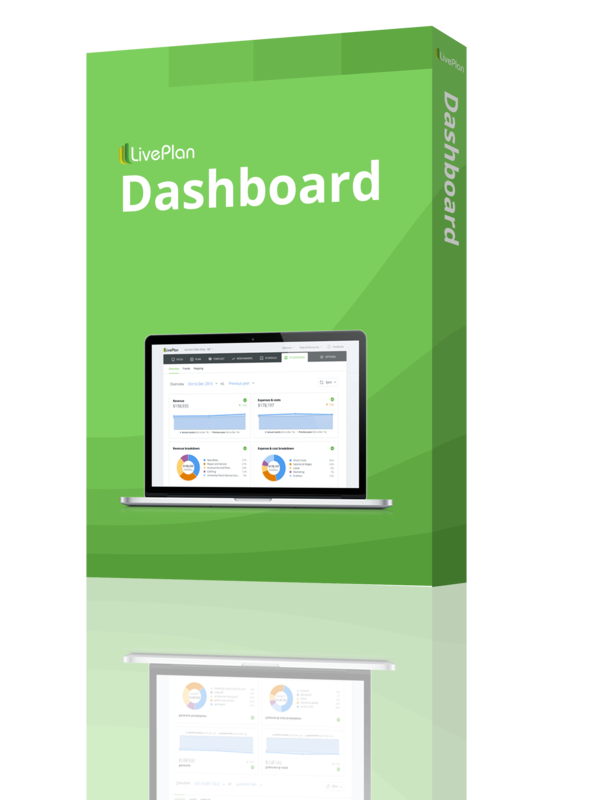 It’s also available LivePlan, which is great, but I think the exercise here is something that any business can do if you’re at any stage at all. If you are thinking about leaving your job to go pursue your Etsy business, think through all of these items first. If you’re up and running, if you’ve been going for five years and everything is strong, think through all these items. See which ones are more difficult for you and tell that story your own way. Make sure you get through the whole thing. We just believe it’s going to make you stronger, whether it’s applying to funding, talking to your partners in relationships, even talking to potential employees into the future. Jonathan: Yeah, so definitely check out that article on Bplans.com, and we actually have a free member resource on the website. It’s a one-page pitch template. If you want to try to do this yourself, answer those questions for your business or a business idea that you have, it’ll be a really great resource for you to get. We’ll have notes for that in the show notes for you to link to and download. Jonathan: Peter, as you might remember each week we’re bringing in a guest to talk about their area of expertise and I’m happy to welcome our newest guest, Candice Landau. She’s the managing editor of Bplans.com. She’s going to talk to us today about content marketing. Welcome Candice. Candice: Thank you for having me, Jonathan and Peter, on the podcast. I’m actually looking forward to doing this. It’s my first podcast. What I want to talk about a little bit today is what is content marketing. Once we’ve discussed this, we’ll segue into talking about how you can use it as a small business owner. Jonathan: Excellent. Candice, what is content marketing? Candice: I can give you the hard and fast definition first, Jonathan. It’s probably best summed up by the Content Marketing Institute. In the simplest terms, content marketing, it’s “a marketing technique for creating and distributing valuable, relevant and consistent content to attract and acquire a clearly defined audience.” This is ultimately the objective of driving profitable customer action, because what else is the point if you’re a business? Jonathan: Is there any way that you could maybe sum that up in an easy to digest way? Candice: In the simplest words, Jonathan, I’d call it modern day marketing. I’d genuinely say that if you’re not doing it, you’re not doing your marketing, so it’s pretty important today. I think this is especially true if you’re an online business or if you have a particularly big online presence. For example, in the online world you’ll typically see content marketing in the form of blogs, info-graphics, micro-websites, websites in their own right, books, videos. Almost anything can be content marketing. If you’re going to do content marketing, what you really have to know is the buying cycle. Typically, in the marketing world we say that the buying cycle has about four steps. Jonathan: Four steps of the buying cycle? Okay. What are those? Candice: Number one, Jonathan, generating awareness or raising awareness. This would be that prior to awareness a customer may have a need, but they’re not aware that there’s a solution for that need, so that’s what we’re trying to do in the first step. These two first steps of the buying cycle are probably the most important when it comes to content marketing. A lot of the content marketing you do is going to be about raising awareness and providing the stuff that helps people do the research, so you’re answering those two questions. Jonathan: What’s the third step in the buying cycle? Candice: The third step is consideration. At this point the customer starts comparing different products from different vendors to make sure they’re getting a high quality product at a fair price, and that’s when you can segue more into your traditional marketing. Jonathan: Okay. Then that leads us to the fourth step, which is? Candice: That’s the final step then, Jonathan. That’s buying. Finally the customer makes their decision and moves forward with the transaction and they buy the product, obviously because you’ve checked off all those points, you’ve answered all those questions. Jonathan: I understand those four steps of the buying cycle. How does that tie into content marketing? Candice: Basically, Jonathan, it’s really about raising awareness for the solutions and educating your customers about the product, because genuinely most of the time they’ve never considered this product before. If they have considered the product, it’s been other products they’ve considered. They’re not aware of your product, so you are basically selling them on the merits of your product. Jonathan: Why are we talking about content marketing in a small business podcast? What can a small business do to engage in content marketing? Candice: Jonathan, if you think about it, for someone that hasn’t got started, someone that hasn’t started their business, the hardest thing is getting customers in the door for the first time. Even if you have started your business, you’ve still got to maintain that relationship, you’ve still got to keep them coming back, you’ve still got to ensure that they love your product, that they get value out of your product. That’s the core of content marketing, that you are providing value. Peter: Candice, let’s have a little fun here. Let’s think about some of the users, some of the listeners that we’ve got already, and let’s brainstorm. What could they do for content marketing? Jonathan: I’ve got a friend who sells custom made headbands on her Etsy shop. What’s something that you would recommend for her to do when it comes to content marketing? Candice: Gosh, Jonathan. She’s got an online business obviously, so she’s probably pretty comfortable online. I’d say if she doesn’t have a blog, she should definitely have a blog. She should be getting people to model her headbands potentially. She should be putting those headbands on Pinterest. She could be teaching people to make the headbands, so she could run a regular weekly blog, plus teaching people to make them. Peter: Candice, we’ve got a bar in our office basement here. They serve some kind of hipster food I think and they also serve coffee. What can a place like The Barn Light here in Eugene, Oregon do to content market? Candice: One of the stores that I regularly go to is Michael’s. I also go to Jo-Ann’s because I’m a bit of a crafter myself. Something they do that’s really great is they give me the opportunity to sign up for their texts. In doing that, I get a weekly text whenever they’ve got a deal on or when they’re running free classes in their store. Even when I don’t want to buy anything, when I don’t want to top off my supplies, the fact that I’m getting that message means I think of them, and more often than not when they’ve got a good deal on like a twenty-five percent sale and maybe it’s a sale on frames or something, I go in. I’m not interested in buying frames. I’m interested in buying jewelry supplies, but it got me thinking about them again. Peter: Candice, that’s great. I’ve got a friend here in Oregon, he makes guitars. We started him on a content marketing program recently, started posting some blog posts about why he flies all the way to Italy just to find some wood. It’s not interesting necessarily to me, probably not interesting to you, but it turns out that there is a group of very interested folks out there in the world, people who want to learn more about this, people who write in his comments section. Maybe they’re not necessarily customers yet, but the idea that you’re suggesting is that over time he can get this dedicated group of followers and then some of them will become customers. Some of them will become maybe advocates or champions for his brand. Is that right? Candice: Right. Initially, what he’s trying to do obviously is raise awareness, so if he can get them interested, if he can first get his name out there and then get them interested in the product, he’s one step closer to turning them into customers. Jonathan: Excellent. I think that probably does it for us for the content marketing segment. Thank you so much, Candice, for taking the time to explain that to us and to our listeners. Candice: Thank you, Jonathan and Peter. That was great fun. Peter: One other thing that’s been coming up a lot lately over the last couple of years here really is this notion of 3D printing. Love to talk a little bit today about how that effects small businesses, what we can maybe think about as business owners, and really what does it mean for the future. Jonathan: I just wanted to bring up kind of like the basic question. How much does it cost for someone to start 3D printing? What goes into it, materials, equipment? What is it? Peter: Yeah, you know it’s interesting. Certainly for hundreds of dollars, but up to thousands of dollars, you can find yourself putting something together that might or might not work for you. The real thing is you’ve got to think about this, and the word printer is really the important word in the 3D printer equation. Just like the dot matrix printers of their days … Is that too old for you, Jonathan? Jonathan: It is. I have no idea what you’re talking about. Peter: It’s basically an issue of quality. The surface might be very stippled or rough in a lower quality printer. As you go up the chain, the surface can increase in quality. The quality of the materials, the durability of the materials, the types, the resolution of materials, all of these things will increase up to the point where you have things that look like they might have come off a normal assembly line. Jonathan: Sure. So this is becoming more and more something that regular people, hobbyists can actually pull together and start using? Candice: Right, and you know what’s interesting? I actually recently bought a 3D printing pen. If you sort of don’t know what that looks like, that sort of like a glue gun, but it’s the same concept. It basically melts the plastic and allows you to form a creation in 3D, to build them up in layers. Jonathan: How much did that pen run you? Candice: Under a hundred. Under a hundred, Jonathan, so you’d definitely be looking at prices coming down. As I said, it’s sort of the glue gun reworked. Peter: What have you made with that? Candice: Not much of anything, to be honest Peter. Peter: It’s all well and good. Candice: I’ve attempted the Eiffel Tower that they obviously show on the Kickstarter project, but those haven’t turned out well. Actually controlling the flow, you know yourself, is very hard. Peter: Candice, that kind of leads me to a point which I can’t help but make. I’m not trying to be cynical here, but I’ve seen a lot of this talk about the democratization of production, this idea that every human can now produce the things that these diabolical factories produce, and now I can finally make my custom version of…”blank.” It’s very exciting up until I hear what that “blank” actually is. It tends to be a model of the Eiffel Tower or a new mug or a toy that represents some cartoon. Candice: Or a plastic spanner. Peter: Literally a fork. Yes. In fact your point is great. The NASA example that we’re holding up is kind of the proof of concept here, is literally … You said spanner, but here in the United States we say wrench. We’re all learning something here. Candice: To that point, Peter, what’s interesting is you say that’s a big worry, but at the moment even with being able to buy 3D printers and use them in your own home, the fact that you’ve got to know how to use CAD software, and that’s Computer-Aided-Design software, is a whole other barrier in itself. Even if you do learn to use it, you teach yourself to use it like you would teach yourself to use Photoshop, the price point is something that most people can’t afford. Peter: To bring it back to small businesses, that is absolutely a major consideration. There is not an easy inroad unless you are already pretty savvy at computers to simply start producing 3D printed materials tomorrow. Even if you know your 3D modeling software, even if you know the connection between that software to the physical printer, and then you have some idea of the quality of the goods that will come out, there is still a learning curve even with all three of those knowledge sets intact. Candice: Unless you are starting a 3D printing business. You fairly recently mentioned to me that you know someone in town that has actually got his own business and one of the things he does is 3D printing or 3D modeling. Peter: Right. It’s for rapid prototyping. I think this is a great point here. One of the things that I think many small businesses should be aware of is that you don’t necessarily need to produce the printing process yourself. You might want to work with a company like the one Candice described which is sort of a rapid prototyping house, where you go to them, you describe what you want, and they’re used to seeing sketches on napkin backs, and they are used to producing the thing that you need produced. This will be quicker than shipping a model out to the Chinese factory that will then produce the item, and you can also run tests on it. Candice: Out of interest, what about printing something like coffee? Peter: Candice, did you just say print coffee? Candice: What a couple of students at MIT have actually recently been able to do is print ice cream. They’ve done that by hacking 3Doodler printing pen and something else I can’t remember off the top of my head, but they did it. Apparently you can print ice cream now, so maybe the future of a small business will involve printed coffee. I don’t know. Jonathan: That’s a terrible idea. I’m just going to be sitting in the corner 3D printing ice cream into my mouth. Forget about productivity on any other level. Peter: I don’t want to imagine printing anything into your mouth. Jonathan: Let’s go around the room. What do you think of 3D printing? Do you like it? Do you not like it? What are your thoughts? Peter? Peter: I think at a manufacturing level it’s here to stay. It’s not going anywhere. We’re going to see it increase in quality. Rapid prototyping is going to be dramatically increased. We might see some very cool, never before considered product types come out of that. 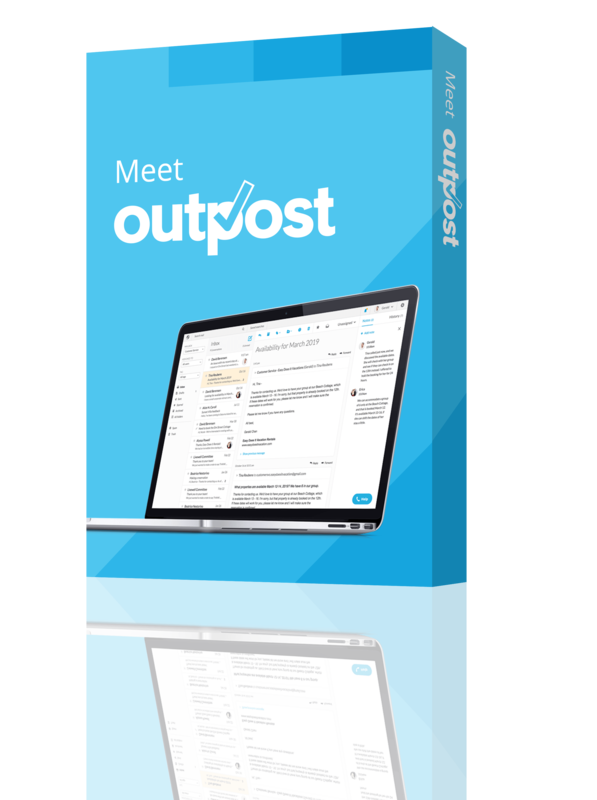 I think at a small business level we’re going to see new business emerge as a result of this kind of product and technology. I don’t know if it’s going to effect the Main Street businesses as much, but I do think it’s nice to have a feel for the pulse. I would suggest as a general rule to just stay in touch with what’s going on in that industry, maybe get to know whatever your local rapid prototyping or your local production house might be and think about it on your end. Maybe there is a custom product that you could start to produce, and maybe talk to that house about how to do that. I would go ahead and caution against unless you are that high-level, I might say geek level, in which case you’re already buying this machine. Don’t go out and buy one tomorrow, assuming that you’re just going to be able to print out everything you need. The NASA example is fantastic. I think it’s a great case of thinking about this as a truly innovative concept. It’s not just that they created a wrench, it’s that they didn’t fly the wrench from Earth to space, and that’s what’s really interesting about that piece. They didn’t not just fly the one wrench, they didn’t fly thousands of different tools. They waited until the tool was needed. The knew the could produce it. They produced it when, and only when, it was needed and then they had it for that purpose. They saved in this case tons of actual literal rocket fuel. Jonathan: Yeah. That’s pretty awesome. Candice, what do you think? Peter: For me 3D printing is definitely something I’m interested in. Perhaps that goes back to the fact that I’m a bit of a maker myself. I make jewelry, but I also like to make other things. The idea that I can create something online or even that I can create something, I don’t know, in plastic or in clay and scan it and then manipulate it online and then print it in whatever material I want in the future … Right now we’re pretty much only at plastics printing, 3D printers, but in the future maybe I’ll be able to print it in metal or gold or silver or something like that, I think for me it’s really going to democratize sort of maybe product design in some ways. It’s going to bring that right into your home. It’s not my favorite item I’ve seen printed, but it’s perhaps one of the more innovative uses of a 3D printer is a company called Crayon Creatures. Basically, if you have a child and your child is maybe five years old, four years old, and they’re creating all these crazy drawings, what you can do is send the drawing in and the company will turn that drawing into a 3D figurine which they will print out and send to you. It’s sort of actualizing an idea, a drawing, and I think that’s great. Peter: That’s great. One copy to the parent, one copy to the therapist, it’s good. Jonathan: Exactly. “What does this mean?” I guess for me, I feel kind of agnostic about it. I don’t see anything wrong with 3D printing. I think it’s fascinating the advances that we’re able to make in technology, but I also have a hard time just visualizing what kinds of things people can do with them. It’s really fun for me to kind of see all of the things that people are creating and innovating on their own. It feels like around every corner I’m being surprised by this thing that people are 3D printing and that thing that people are 3D printing. I’m really fascinated to see where it continues to develop. Peter: That kind of goes back to my idea though. I have never been fascinated by what someone has printed at home. I’ll be honest, I feel like I totally get the excitement behind it, and maybe this is your point about the Apple Watch, I want someone to excite me about the democratization of printing. I get it at an industrial level. I love that there is huge potential at the local level, meaning I could now go down the street the same way I do to Kinko’s to get something professionally printed, but if I owned one of these at home and I’m extremely excited to start my printing process and I go home today and I print out what? Maybe this is just a fun time for our listeners to just write in. What would be very cool? I’ve heard a fork. I’ve heard a bolt for my oven. I’ve heard a gun. Someone actually suggest that I print a gun and I’m not sure what he hoped for there. Jonathan: If you’re listening to the podcast and you have an opinion about 3D printing, we’d love to hear it. You can email us at Bcast@Bplans.com, or if you’d like you can give us a shout out on Twitter. Our Twitter handle is @Bplans. Feel free to give us a mention and just use 3D printing as a hashtag, we’ll see it, and tell us what you think. One more thing that I wanted to do with 3D printing is just kind of go around the room. Peter and Candice, local level, industrial level, what’s the coolest thing that you’ve seen with 3D printing so far? Candice: For me, Jonathan, and I can’t remember what TV show this was on. I feel like it was How It’s Made or Mythbusters or something like that, but basically someone 3D printed a bicycle and I think that’s a really interesting concept, that you could print something that actually works in real life. I’m not a hundred percent sure that it lasted very long, but it was a good idea. Peter: You know, Jonathan, I love this project called Enabling the Future. It’s a hand replacement, a prosthetic hand project. What’s cool about this is it’s not just this idea that a 3D printer can produce a thing, but it’s also this idea that as soon as you have the printer in a country where maybe the prosthetic isn’t available, the printer itself becomes a means of developing a community around enablement. How cool is that? We’re taking a little bit of that power away from the bureaucratic maybe hospital, maybe expensive process. We’re giving literally children hands when they didn’t have one, so that’s beautiful and everything, but it’s just a very cool use of this. I think, again, it’s not an at home use, but it’s a localized use. You see higher end work at Boeing, but this is at a very sort of personal level, so it’s very interesting to look at. Jonathan: That’s really cool. It kind of ties into some of the things that I’ve seen that I’m most fascinated about with 3D printing, and that’s in the medical field. I see scientists working already on developing ways to print human tissue for skin grafts. I think even the goal there is to be able to print organs, artificial hearts, artificial lungs, so that’s really fascinating to me I think. Peter: So you’re saying they should print Oregon? Jonathan: No, organs, like the pipe organs—no, human organs. Jonathan: Absolutely. Thanks for talking about 3D printing, guys. I think that will do it for our podcast, and we are…out. If you have a question you’d like us to answer on the show, send us an email at Bcast@Bplans.com or send us a tweet @Bplans. The Bcast is brought to you by Palo Alto Software, makers of Bplans.com and LivePlan.